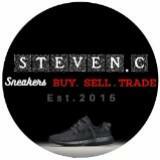 steven.chong Great seller to deal with! 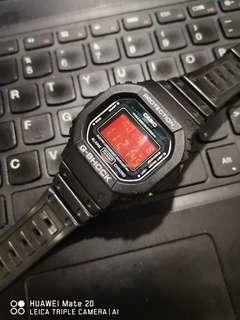 MODEL DW6640 (1209) JAPAN USED 9/10. ALL FUNCTION. GLASS NO SCRATCH. 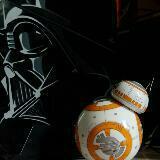 LIGHT OK. BEEP OK. FULLY SERVICE, NEW BATTERY. ALL PART ORIGINAL. PLEASE REFER PHOTO BEFORE DEAL. 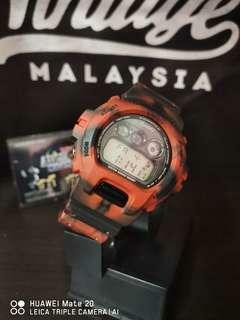 Original not Assemble Model : DW-6900MC Camouflage Condition : Used Like New. 9.5/10 All function This item is original. Import from japan. No fake. 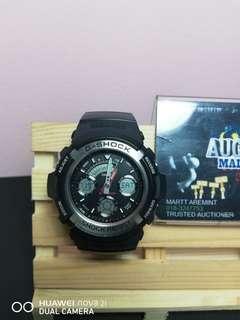 Can google with this model for further knowledge We also provide service, repair, custom all model of watch. Thanks all. Have a nice day.! 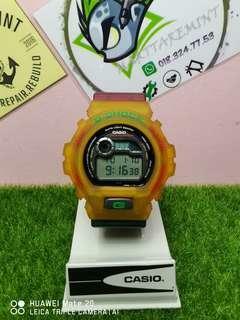 Dw6900 with module rare dw8120 jackpot slot machine, backase dw6930 anniversary, all function. Look like new. 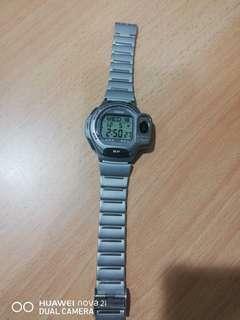 Rare watch. 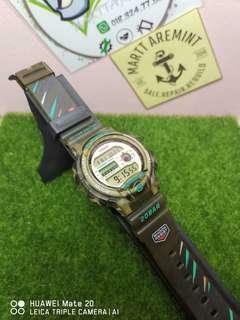 Vintage watch DW-6294 world cup. 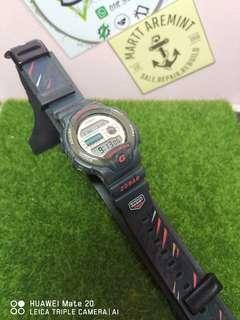 Used item. 100% working. Fully service. New battery. Homemade Bazel. Thanks. 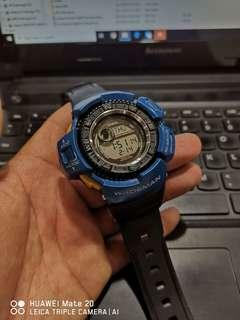 Model : DW-9800 Wademan [Master Of G] Brand : Casio G-shock Condition :- -Beep OK -Light OK -Autolight OK -Engine OK -Bazel Homemade Painting Deep Blue -Compass sensor OK -New Battery What you get : Watch Only. Used like new. All function, backlight custom marijuana. 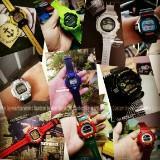 Convert to body dw6900 fit. Rasta design. 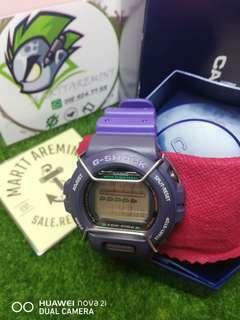 1month warranty. 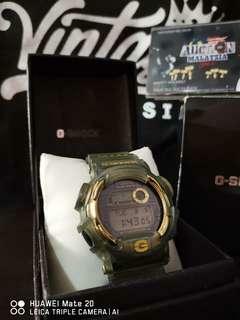 G-Shock Dw9800 wademan compass digital. 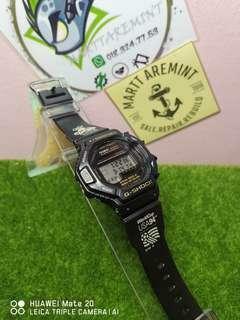 ➡️Model : DW-9800 Wademan🎌 ➡️Disclaimer : Used Item. Engine 100% working, Autolight function. Bazel Homemade repaint red vermillion. 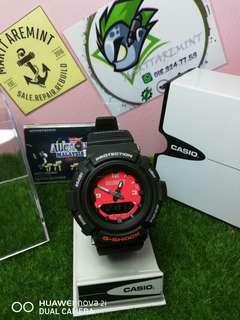 Look like Ironman theme. Band still original. New battery (Sony SR927). Glass no dent, no scratch. ✔️What you get : Watch Only. 100% original. 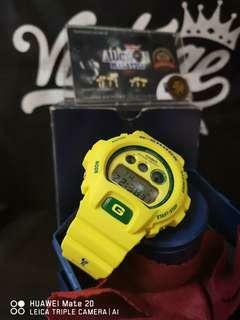 Gshock vintage watch. 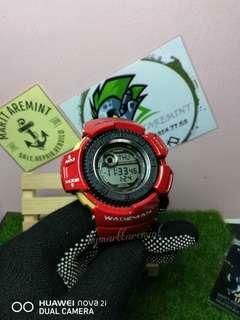 AW-570 Gaussman Engine G-100 RalliArt Fully function. 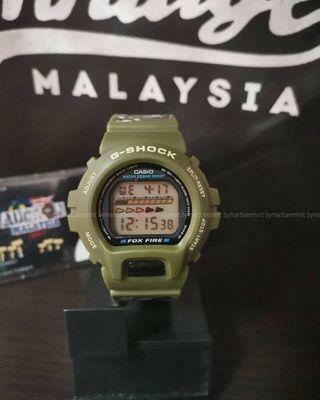 BNB Green Army Like new rare. 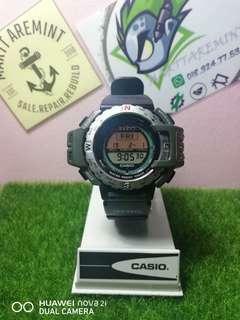 Preloved item : Rate 9.5/10 What you get : Watch and casio box. 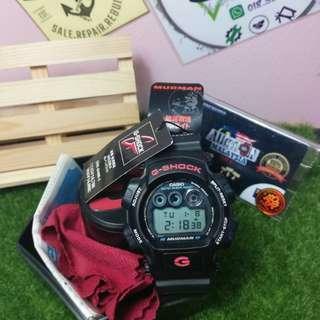 Preloved item, complete set wit manual tag and box hexagon. Refer Photo. Bazel Homemade like original. All function. 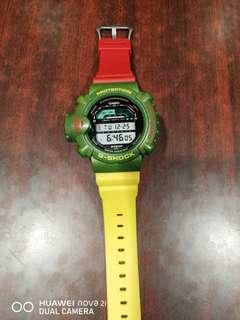 Model : DW-6500 Skyforce Vintage Rare (Rasta Version) Used Like New. 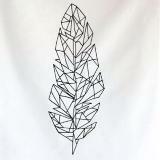 All function BNB new. 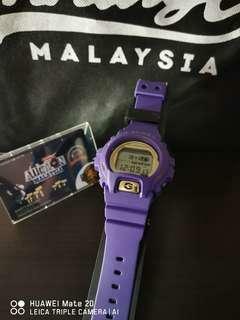 Vintage Watch Model DW6630 purple Rare item. Unused item, just display. All function. Come with box. No manual. Refer picture. 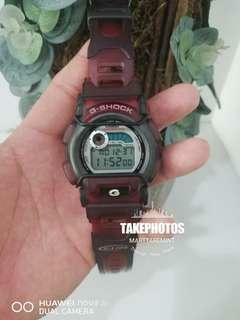 Blood Pressure Monitor Watch Casio BP-1B, Watch Only. Operation Good, Used like New. Just need calibrate with machine to get exactly reading.